The official website for King of Prism: Shiny Seven Stars movies has announced minor characters and TV broadcast information. 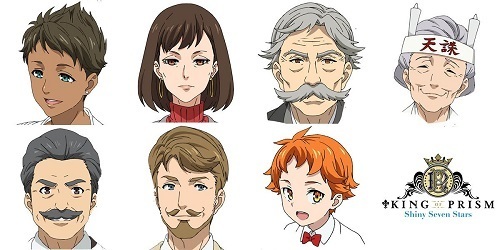 The cast members announced are young and family members of Yukinojou and Taiga, which will appear in the first movie as well as second and third episodes of the TV series. 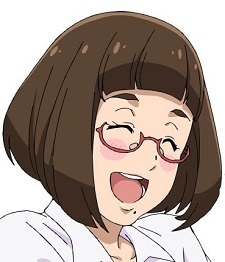 The anime, which the four-part movies are scheduled to premiere on Japanese theaters on March 2, March 23, April 13 and May 4, will air on Tuesdays at 1:35 a.m. via TV Tokyo, TV Aichi, TV Osaka, and BS TV Tokyo starting April 9. The first broadcast will have a special show introducing the series on the first week of broadcast. 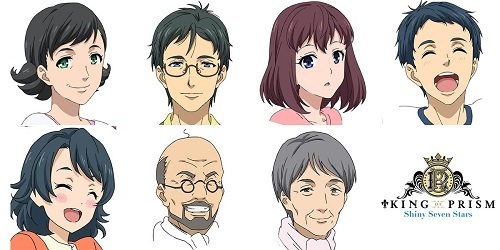 The official website for King of Prism: Shiny Seven Stars movies has announced more characters, who are young Kakeru, as well as people related to Kakeru, George, and Minato. They will appear in the second movie as well as fourth, fifth, and sixth episodes of the TV series. That got me hooked. Best collab for April Fools. Hypmic anime when! PV for TV broadcast has also released via AnimeJapan 2019, but I don't know why it is not included in this week's PV collection. The 5 year-old Yuki is so precious. I guess I was wrong, then. I guessed that the new Fruits Basket will be replacing Captain Tsubasa (2018) this spring, but this anime will. I guess the new Fruits Basket will broadcast on Tuesdays (Wednesday Midnight)? Guess not, then.